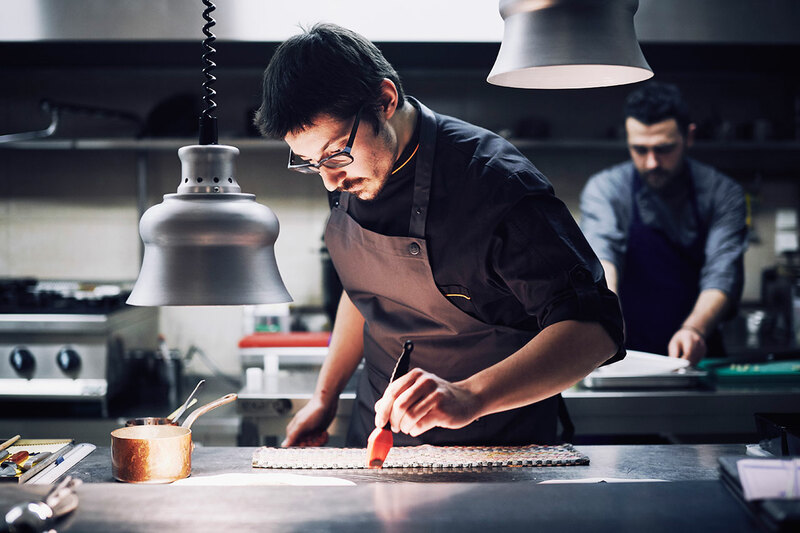 More of a gastronomy project than a conventional restaurant, CTC is indeed a very bold move on young chef Alex Tsiotinis’ part, who has got everyone’s undivided attention despite the fact he’s barely 30! With a colorful past in some of Europe’s most awarded kitchens, Tsiotinis relocated to Athens and kept food lovers on their toes while setting up his first top-secret business venture, whose name was kept under wraps until the very last minute. CTC (a wordplay based on the Greek word “sitisi”, which means nourishment) is a lot of things, but first and foremost it’s innovative and worth experiencing. Spartan to the point of frosty, this grey-tinged food lab caters to a mere 30 guests, operating on a two-speed menu (à la carte and degustation) prepared in an open kitchen. 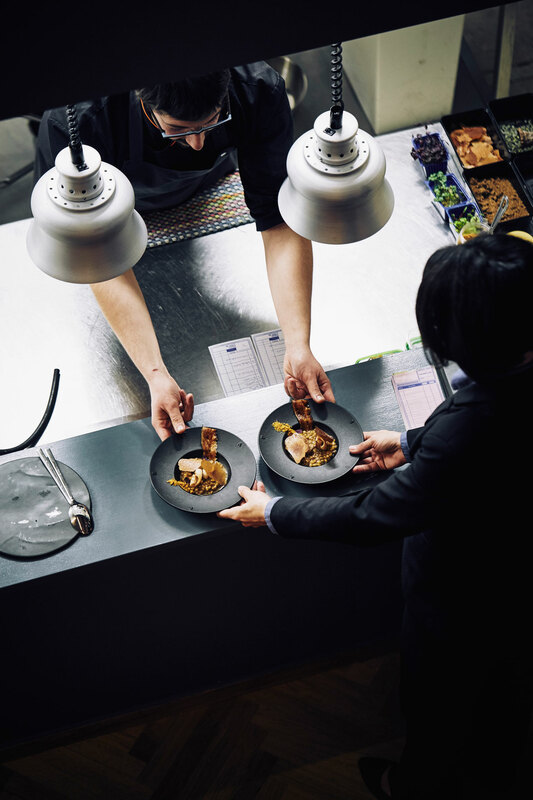 Following the French menu du marché paradigm, Tsiotinis invites you to trust both his cooking and his choice of produce, as he loves to forage for raw materials, as much as he likes to prepare them. The ever-changing menu is, naturally, focused on Mediterranean cuisine with Parisian sensibilities and a handful of innovative techniques that will often transform your plate into a gourmet installation. Let’s not forget that Tsiotinis partly owes his fame to his S. Pellegrino Young Chef award, where he first premiered his signature “Cretan Salad in a Pot”, two edible flower pots with a panorama of Cretan greens that blew the judges away. 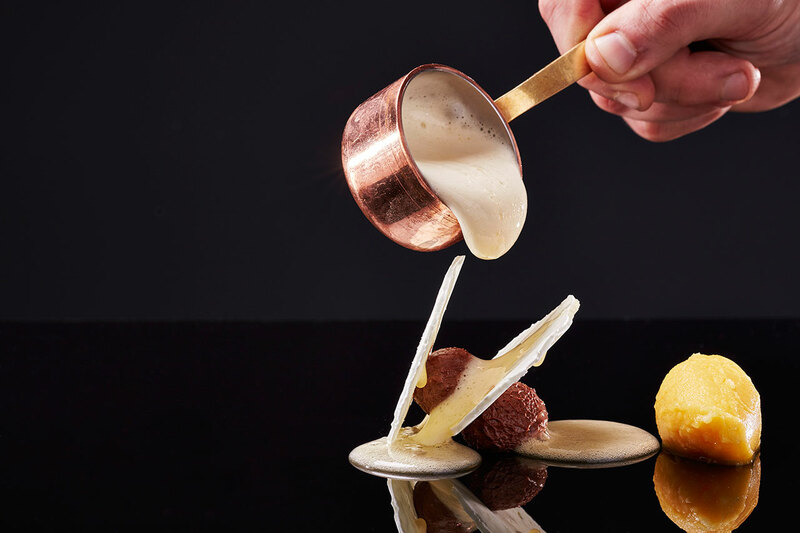 Given his surprisingly mature style and insatiable appetite for experimentation, dinner at CTC should be nothing less than extraordinary, even if you don’t know quite what he’s serving!